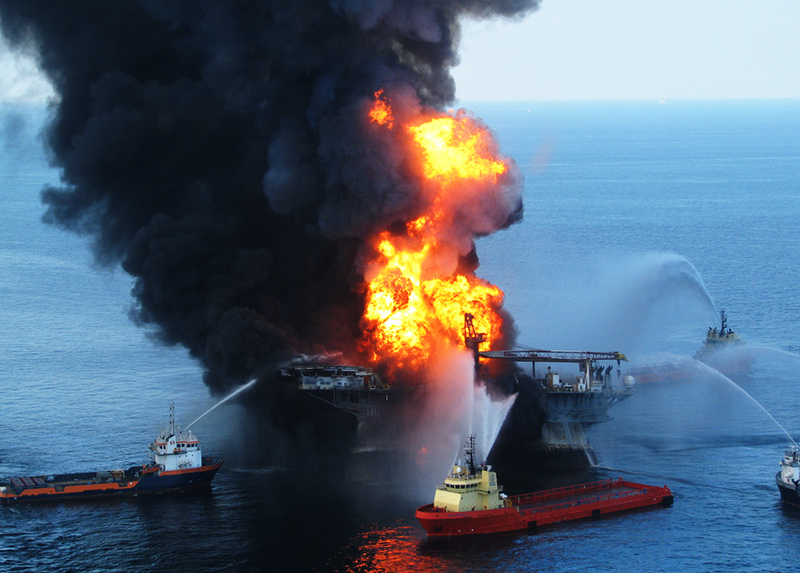 The 2010 Deepwater Horizon oil spill in the Gulf of Mexico was one of the worst environmental disasters in U.S. history and triggered the steepest civil penalties ever under the Clean Water Act. Click image to enlarge. On July 2, 2015, the U.S. Department of Justice made public the largest penalty for an environmental violation ever levied in the United States – the $US 18.7 billion that BP agreed to pay to settle civil violations and damage to natural resources that resulted from the Deepwater Horizon oil spill in the Gulf of Mexico in 2010. The agreement between the federal government, five states, and the world’s sixth largest oil company was more than three times larger than the $US 5.15 billion settlement agreed to almost a year ago by energy companies Anadarko and Kerr-McGee to settle soil and water contamination claims at U.S. mines in 11 states and on the Navajo Nation reservation. The BP settlement was 17 times larger than the $US 1.1 billion that Exxon paid in 1992 to settle criminal charges and civil penalties resulting from the March 1989 Exxon Valdez oil spill in Alaska. Yet in celebrating a mammoth clean water penalty that was commensurate with the scale of the Gulf disaster, the government also revealed the limits of its three-year-old strategy to identify and prosecute violations of the Clean Water Act and the nation’s other major environmental protection statutes. Hampered by a hostile Congress and by deep cuts in its budget and staffing, the Environmental Protection Agency, which oversees environmental laws and investigates violations, is drastically reducing the number of clean water inspections and prosecutions. 1) Taking administrative action to curtail big mine and energy projects it sees as too damaging to the environment. 2) Pursuing fewer but much larger penalties for big pollution incidents. 3) Winning the largest enforcement awards in U.S. history. The EPA’s aggressiveness may have been a factor this month in causing the release into the Animas River of 11.3 million liters (3 million gallons) of toxic heavy metal pollutants it was investigating and cleaning up at an abandoned gold mine in Colorado. Agency leaders say their strategy to pursue select high profile investigations and prosecutions, and conduct many fewer inspections, meets the agency’s enforcement priorities and still serves as a deterrent to polluters in an era of diminishing financial resources. In July, as the U.S. House of Representatives prepared to vote on a bill that would reduce the EPA budget by another nine percent, Gina McCarthy, the EPA administrator, pushed back. 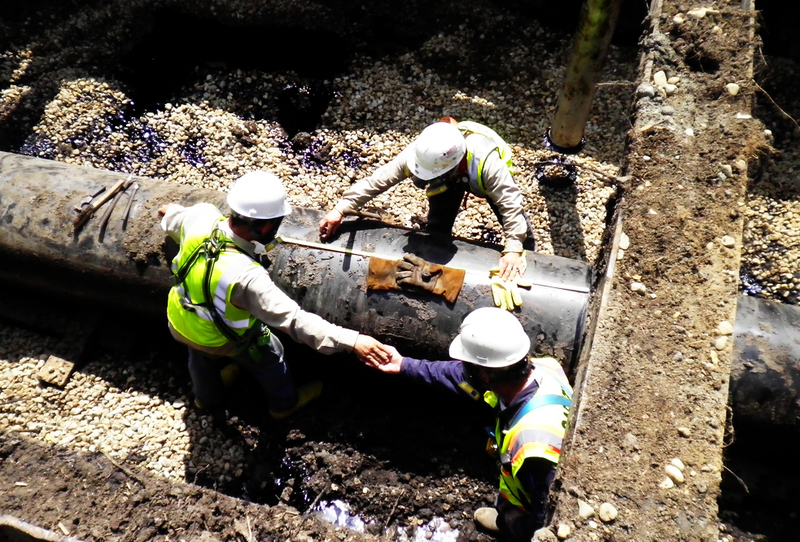 Workers prepare to remove a section of pipeline that spilled millions of liters of oil into Michigan’s Kalamazoo River in 2010.Click image to enlarge. Republican leaders in the House and the Senate, who have spent decades seeking to weaken the EPA, were not sympathetic. “This administration has been hell-bent on implementing all sorts of regulations that are harmful to both our economy and our energy security,” said House Appropriations Committee Chairman Hal Rogers, a Republican from Kentucky. Senator Murkowski declined to specify what she meant by “overreach” since the federal government’s environmental regulatory enforcement reach, particularly for water pollution violations, is more limited than it has been for years. In 2010, the EPA budget reached $US 10.3 billion, and the agency employed over 17,000 staff members. This year the agency is spending $US 7.9 billion and employs 15,000 people, the lowest number since 1989. The slide in personnel is reflected in EPA’s enforcement activity. In 2014, the last full year of record-keeping, EPA staff conducted 15,000 inspections, 5,000 inspections less than in 2010. From 2005 to 2009, according to agency records, the EPA conducted 105,000 inspections of wastewater plants, factories, businesses, power plants, manufacturers and other regulated facilities. From 2014 to 2018, according to the agency’s newest enforcement strategic plan, the EPA will conduct 79,000 inspections. The reduced number of inspections has resulted in fewer enforcement actions. From 2005 to 2009, the EPA brought 19,500 criminal, civil, and administrative actions against polluters. From 2014 to 2018, the agency says it will be limited to 14,000 enforcement actions. Typically, the Clean Water Act, the 43-year-old bedrock statute to safeguard the nation’s waters, lies at the very top of the agency’s annual enforcement priorities. Enforcement of Clean Water Act violations varies widely by state, as well as by year.Click image to enlarge. Faced with a Congress that is openly antagonistic to much of its work, the EPA enforcement program in 2012 developed a new strategy, Next Generation Compliance, that is essentially an exercise in trying to sustain the deterrent value of prosecuting polluters with a lot fewer resources. Limiting damage to streams from big open pit mines, and from blowing off the tops of mountains in West Virginia to produce coal. Overseeing wastewater disposal practices to prevent contamination of groundwater from hydraulic fracturing practices in shale oil and gas development. 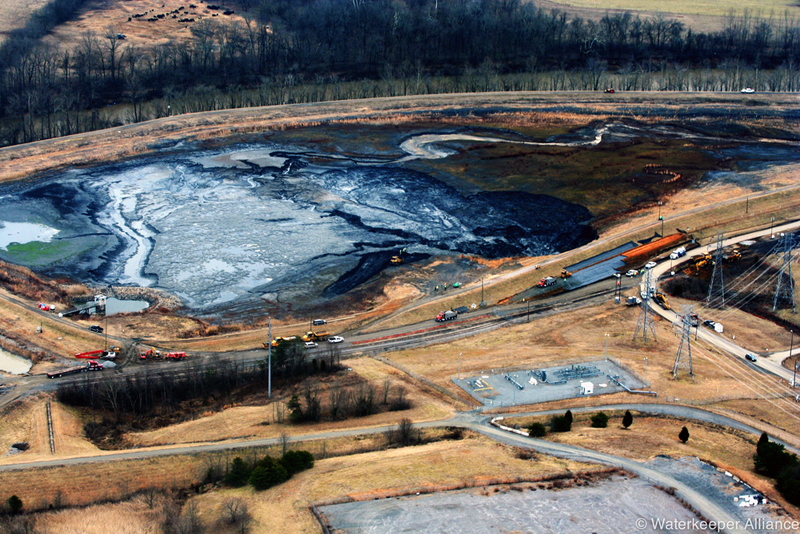 Approving new regulations to safely manage coal ash disposal at big power plants and prosecuting violators. Establishing enforceable standards and practices to help halt water pollution caused by large livestock feeding facilities, dairies, and poultry production facilities. Not surprisingly, the EPA’s vigilance has unnerved some people. Two summers ago, for instance, placer gold miners in Alaska, working river claims near the tiny town of Tok, were confronted by a team of armed officers wearing body armor. The law enforcement team, which found no violations, was affiliated with the Alaska Environmental Crimes Task Force and the EPA and was checking for discharges that violated the Clean Water Act. 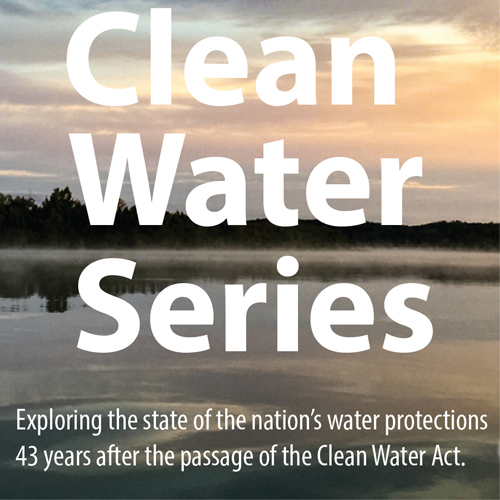 The Clean Water Act, enacted in 1972, essentially establishes a right to discharge pollutants into the nation’s waters so long as dischargers seek permits and obey their discharge requirements. The law was last amended in 1987 when Congress strengthened its enforcement provisions, significantly raised penalties, and made violations felonies. Before the 1987 amendments, when most violations were considered misdemeanors, the nation’s enforcement priorities shifted with presidential administrations. In the early 1980s, for instance, the Reagan White House, as a matter of policy, said it was uninterested in enforcing the nation’s water protection law. Since then, administrations and the courts have exhibited consistency in enforcing the clean water law, and the quality of the nations’ rivers, lakes, and nearshore areas has significantly improved. Still, big new areas of contamination exist that Congress refuses to address – manure and fertilizer draining from factory farms and farm fields; contaminated stormwater rushing off city streets; fracking; mountaintop removal for coal; open pit mining – that the Obama administration is tackling with new requirements established under its executive authority. The EPA investigated Duke Energy following a 2014 coal ash spill into North Carolina’s Dan River.Click image to enlarge. Enbridge, Inc. is anticipating a $US 40 million fine for a rupture in one of its oil pipelines in southern Michigan that spilled almost 3.7 million liters (1 million gallons) of heavy tar sands oil into the Kalamazoo River in 2010. Some observers anticipate a penalty of as much as $US 100 million for clean water violations. Either figure would set a record for water pollution from a pipeline accident. The announcement by the EPA and the Justice Department is expected very soon. In May, six months after the EPA set new standards for safeguarding coal ash piles at power plants, Duke Energy pleaded guilty to nine counts of illegal dumping of coal ash from five coal-fired power plants in North Carolina and agreed to pay $US 102 million in fines and restitution. The penalties stem from an EPA investigation following a 2014 accident that poured 39,000 tons of coal ash from a Duke Energy plant into the Dan River. In December 2014, a federal grand jury indicted the four owners and two operators of Freedom Industries, a tank farm company that released 38,000 liters (10,000 gallons) of a toxic chemical into the Elk River in West Virginia that contaminated the drinking water of nearly 300,000 residents downstream in Charleston, the state capital. Each was charged with the negligent discharge of a pollutant, negligent discharge of a refuse matter, and violating an environmental permit. The violations carry a maximum penalty of three years in prison. And then comes the work by the EPA and the Justice Department to prosecute BP and Transocean Ltd., the owner of the Deepwater Horizon drilling platform, for the explosion and fire in April 2010 that killed 11 men and caused the largest oil spill – 4.9 million barrels (210 million gallons) – in U.S. history. Attorney General Loretta E. Lynch, in June, said the prosecution and mammoth $US 18.7 billion civil penalty agreed to by BP largely concluded a five-year water pollution enforcement case that clearly confirmed the authority of the clean water law. In 2013, Transocean Ltd. agreed to pay $US 1.4 billion to settle criminal and civil penalties under the law. The same year, BP agreed to settle criminal charges associated with the disaster for $US 4 billion. 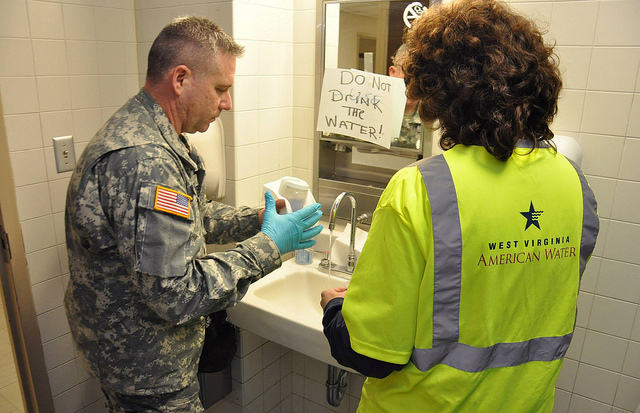 Members of the West Virginia National Guard take water samples near Charleston following a chemical spill into the Elk River in 2014 that contaminated the city’s drinking water supply.Click image to enlarge. U.S. Clean Water Law Needs New Act for the 21st Century.